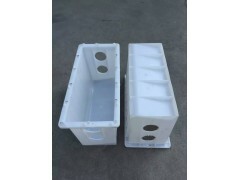 With the rapid development of domestic plastic mould industry, the demand for talents is increasing. However, there is still no way to solve this difficult problem in China, which has become the main obstacle in China's die and mould industry. It is understood that the mold production in coastal areas is presented at different levels and can not be recruited. In order to attract talents, many central mould enterprises and cross-regional and cross-provincial recruitment phenomenon. Three kinds of talents constitute the mould industry. "Golden collar" personnel are familiar with die design software and die construction knowledge, and accumulated a lot of practical experience in practice. These people are very suitable for technical directors or technical supervisors of various enterprises. "Grey collar" refers to people who specialize in designing and processing moulds. These people account for 15% of the mold technology positions in the enterprise. "Blue-collar" refers to the technical personnel who perform detailed operation and daily maintenance of dies in consumer posts, accounting for 75% of the company's posts, which is the current demand. This has become one of the main obstacles in the domestic die and mould industry. Strengthening the training of professionals has always been a major event in the die and mould industry. With the rapid development of injection mold industry, a new form of injection mold manufacturing based on information age is proposed. The consumption efficiency of injection mould industry has been greatly improved, which has a landmark impact on manufacturing industry. Due to the organic separation of information related to the manufacturing activities of injection moulds and manufacturing information, the traditional manufacturing industry has developed rapidly. In the information age, this advantage has been well developed and displayed. Modern manufacturing process can be regarded as the value-added process of information contained in the original data, and the drive of industrial information flow will become the mainstream of manufacturing industry. As injection products are widely used in daily life, mould technology has become an important indicator of a country's product manufacturing level. In recent years, the quality and quantity of injection moulds have developed rapidly in China, but compared with the advanced technology abroad, the technology level of most enterprises in China still needs to be improved.